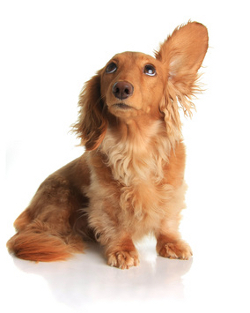 If you're a dog or puppy owner chances are you've heard his name before. But what is it that makes Ceasar Milan so popular, and how can he help you with your pooch? Find out right here! Maybe you've seen his TV Series, read one of his best selling books (does 'Cesar's Way' or 'How To Raise the Perfect Dog' sound familiar? ), watched one of his DVD's or just overheard other dog owners talking about this well-known - and sometimes controversial - dog trainer and behaviorist. From early and humble beginnings in Mexico, Ceasar Milan came to the United States and has become an internationally recognizable celebrity, a 'star' even, and has worked with the dogs of many other celebrities such as Oprah, Will and Jada Pinkett Smith, Nicolas Cage and others. 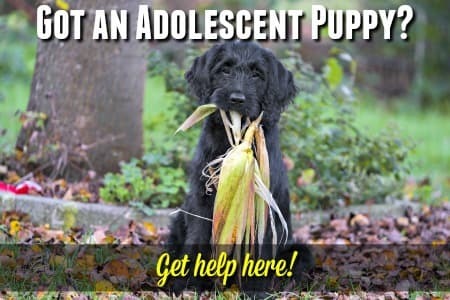 If you've ever wondered if his dog training methods would work for your pup, or if he could help your dog overcome some behavior issues, now's the time to get the answers you've been looking for. Mind you, not everyone loves this guy. There are strong feelings on both sides... those who idolize him and think he can do no wrong, and those who ridicule or denounce his methods. But in my opinion you don't have to worship him (or think he's 100% right, 100% of the time) to see the merit in his techniques or to understand his philosophy! Cesar's Way - What IS it? It's Cesar's naturally intuitive approach to dog training that has made him famous, and he's so successful at what he does because he clearly understands dogs in such a natural way... and communicates with them in a way they can understand too. There's a very basic concept at the root of this approach, and you can sum it up in 7 short words... 'dogs are dogs and people are people'. Sounds obvious doesn't it? But it's amazing how silly we dog owners can get when we add an adorable puppy to our family. We're tempted to treat this sweet furball like a real baby.... spoil her, talk 'baby talk' to her, let her do whatever her little canine heart pleases. She's just so cute it's difficult to remember that she's NOT human, doesn't understand our "ooh's and aah's", and is hard-wired to interpret our behavior (and the world in general) in a very different way from the way we see it. The building blocks of Cesars' way are these..
Cesar Millan Dog Whisperer teaches that attaining a proper 'balance' between an owner and his/her dog plays a key role in how the dog behaves and how successful any training will be. To get to this state of balance, a dog needs to recognize, and accept, his owner as the 'pack leader' and the owner needs to recognize, and fulfil, the dogs' basic needs. Clear communication between dog and owner is vital, and it's the owners responsibility to learn how to communicate with his/her pup/dog. He encourages dog owners to watch their pet for subtle cues in the dog's posture, movement and facial expression - their 'body language' - as this is how your dog communicates with other dogs... and with you. The Dog Whisperer also stresses the importance of understanding how our feelings, emotions and attitudes affect our dogs and shape their behavior. Dogs are very intuitive and if we're feeling a strong emotion, the dog will sense that but not necessarily understand it. 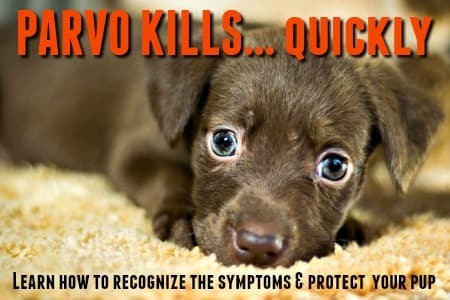 This can lead to aggressive, defensive or fearful behavior because the dog is confused and not getting the 'calm and assertive' energy he needs from you. This is a real, working, example of your dog using that old saying, "Actions speak louder than words" in a real-life situation. How To Be Your Dog's Very Own Whisperer! So, if you want to follow 'Cesars Way', what do you need to do? First of all, you want to start off in the right way! If you're the proud owner of a new puppy, you have pretty much a 'clean slate' so to speak, and being able to follow the Dog Whisperers' advice from Day 1 will be a plus. We all know how irresistible a new puppy is, but don't treat your new four-legged baby like a human one. Understand that this is a DOG (albeit it a tiny one! ), and she doesn't think the same way you do. Set firm guidelines for her behavior, and give her plenty of exercise and stimulation, a nutritious diet and don't spoil her! Always project a calm, assertive but loving attitude so that your puppy feels safe and knows that she can rely on you for guidance. If you're still in the 'planning stage' of puppy ownership, or have just brought home a new pup, Cesars' book How to Raise the Perfect Dog: Through Puppyhood and Beyond is the perfect match for your situation. 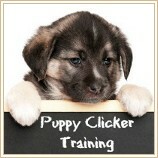 It will guide you through the entire process from choosing the right pup for you, (breed, energy level etc.) 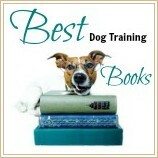 to establishing rules, understanding how dogs think and communicate, basic dog training methods and more. 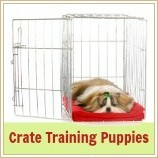 If you have an older puppy, adolescent, or even adult dog, following Cesars' Way is still very much an option. In fact his best seller Cesar's Way: The Natural, Everyday Guide to Understanding and Correcting Common Dog Problems will get you on the right track. This book isn't just an invaluable reference book, but is full of stories and anecdotes that cover Cesar Millans' lifetime devotion to his canine companions. It makes fascinating reading. On a practical note, you'll find this book will help you realize where you've gone wrong, and what you need to change in order for your dog to be happier, and your relationship to become more inline with the Dog Whisperers' recommendations. Of course, there's way more to Cesar Millan Dog Whisperer, than what you'll find in these two books, and he's created an almost limitless amount of material (books, DVD's, TV shows etc.) to help you overcome your dogs' behavior problems, understand each other and bond in a natural way. As much as helping your dog, it will help you to become the 'pack leader' your dog needs, and deserves, and you'll both be happier for it! If you prefer to watch and listen rather than read, I'd recommend trying this set of DVDs - Cesar Millan's Mastering Leadership - Volumes 1-4. They're very comprehensive and entertaining, each one covering a different aspect of the dog-human relationship and giving you tons of workable tips and advice. You'll come back to these over and over again. Cesar Milan also offers books/DVD's that cover the more ingrained or serious behavioral problems your dog may have. If your dog is aggressive, defensive, fearful.... Cesar can help you rehabilitate him. He has worked with some very tough 'cases' and knows how to approach any situation. His TV series often shows him working with dogs who are labeled 'problematic', and the methods he uses with these dogs have often come under fire. He does use some strong corrections, and can seem intimidating, but in my personal opinion he never steps 'over the line' and he is 'in tune' with the dogs he works with. Of course, Caesar is a professional and very experienced at what he does.... and he doesn't advocate that YOU do what he is often seen doing. Like those dare-devil TV shows say 'please don't try this at home'! I've owned, raised and trained big dogs for many years, and many of the methods that Caesar Milan recommends make perfect sense to me. In fact, many times they're things that I've learned through personal experience and practice actually work, I just didn't always understand why they worked. Of course, I don't necessarily agree with everything the Dog Whisperer does or recommends. I still prefer to routinely train a puppy with treats, and on occasion I dole out too much affection and not enough exercise, but the saying 'a tired puppy is a good puppy' is without question very accurate! 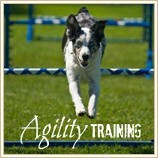 There are almost as many training methods and dog trainers/gurus as there are dogs (that might be a slight exaggeration! ), but for me Cesar Millan Dog Whisperer is definitely one to watch - and pay attention to.